The grille is your car’s mouth, or perhaps its teeth - the point is that air goes in as the car goes forward (sort of like the car is breathing) and it cools the radiator. The grille is there to stop anything bigger than air molecules from getting in, but also to massively enhance the coolness factor of your car. 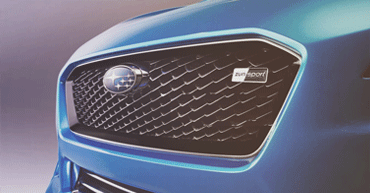 Zunsport, more than any other company, appreciate these two principles of grille design. An aftermarket grille can make your car look mean, cool and just the business, so it’s no wonder petrolheads like to buy them for their cars. Zunsport is the specialist steel car grille company - buy your grille today from Tarmac Sportz and supercharge the look of your vehicle. Three generations of family have owned and worked for Zunsport Grilles - this family focus has coloured the company’s outlook and philosophy. They’ll treat customers like one of their own and this personal touch is one of the reasons why they have so many positive testimonies on their site. They’ve been supplying car grilles to major car manufacturers for over a decade and their dedicated team also offer a fitting service if you’d rather not do it yourself - they pride themselves on offering a quality service. It’s amazing what a stone, pebble or even a leaf can do to a car - something so small against a big, loud, metal machine. But, here at Tarmac Sportz we’re all well aware of the damage road detritus can cause. Stones and pebbles can break through the grille and damage the radiator, and leaves can get sucked through pervious grilles and clog up and damage the brakes. To cars with ordinary grilles, this stuff is a real threat, and something that can hit you with large bills down the line. Here at Tarmac Sportz, we never want you to be in a position where your car breaks down or malfunctions because of less than adequate grilles. Zunsport design their grilles to be completely impervious, to give your car the longest life possible. High-quality stainless steel woven wire mesh brings superior protection by offering durability, resistance and springiness, all combined with breathability to allow the maximum amount of air to get in (outside of having no grille whatsoever). Remember, it’ll cost a lot more than the price of a Zunsport grille to get your radiator or brakes replaced. Choose from black or chrome finishes - whatever you think goes better with your car. They design each of their grilles with the look of the car model in mind, this design process include rigorous prototyping to see just how it’ll look on the vehicle. Their range covers a huge array of models including; Audi TT, BMW Z3, Citroen C4, Fiat Punto, Ford Fiesta, Honda S2000, Mazda MX5, Mitsubishi L200, Nissan 350z, Porsche Carrera, Renault Clio, Subaru Impreza, Toyota Celica, Vauxhall Corsa, VW Golf and many more. Zunsport grilles fit in front of your existing grille area and are not a replacement, but an enhancement.